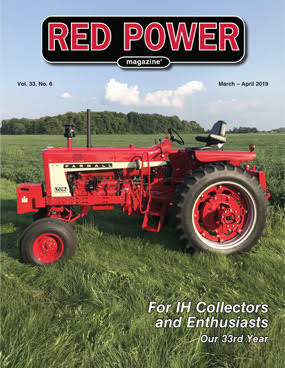 WELCOME IH FANS AND ENTHUSIASTS! This site is owned by the Red Power Magazine. This is a FREE web site. It is a source of information about our bi-monthly publication; and a place for IH enthusiasts to exchange and share information. Although the purpose of the site is to encourage folks to subscribe to the magazine, we do not require you to be a subscriber in order to read or post on the discussion forum board. Be sure to visit the discussion forum board. It is a great place to ask questions, learn more about IH, meet new and old friends or just view to read what is going on in the IH world.